Racism is a reality in the lives of many ethnic and religious minorities in the EU. However, the extent and manifestations of this reality are often unknown and undocumented, especially in official data sources, meaning that it can be difficult to analyse the situation and to establish solutions to it. 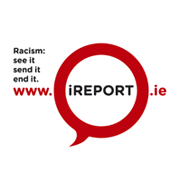 The ENAR Shadow Reports are produced to fill the gaps in the official and academic data, to offer an alternative to that data and to bring an NGO perspective on the realities of racism in the EU and its Member States. This allows access to information which provides the vital perspective of those that either are or work directly with those affected by racism. Published by the European Network Against Racism (ENAR) in Brussels, March 2013, with the support of the European Union Programme for Employment and Social Solidarity – PROGRESS (2007-2013), the Open Society Foundations and the ENAR Foundation. ENAR published a European and 26 country-specific Shadow Reports in March 2013, with the support of PROGRESS (2007-2013), the Open Society Foundations and ENAR Foundation. The communities in Europe most vulnerable to discrimination and racism continue to be immigrants and other ethnic minorities, especially Black Africans and Roma. The newer migrants from within the European Economic Area (EEA) also experience hostility. The public perception of ethnic minorities in most countries remains a negative one: ethnic minorities, particularly immigrants or those with a migrant background, are often accused of stealing job opportunities, working for less pay, benefiting from social services, while they and Roma are further blamed for rising crime. Political parties are seen as complicit in promoting negative stereotypes of immigrants and stirring up racial tension to serve their own purposes. It is disturbing that neo-Nazism continues to hold sway in some countries and that in most countries the racist narrative still resonates with the general public.